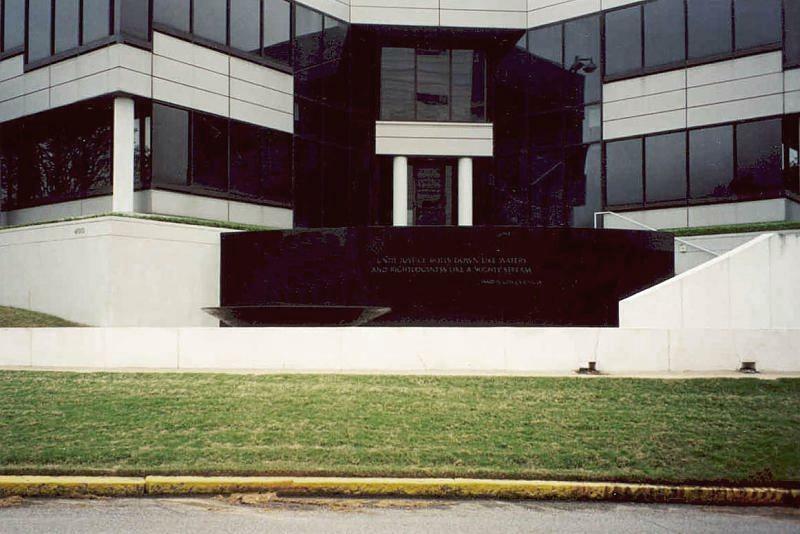 The design of the Vietnam Memorial led to additional commissions for Lin, this work commissioned by the Southern Poverty Law Center in Montgomery. 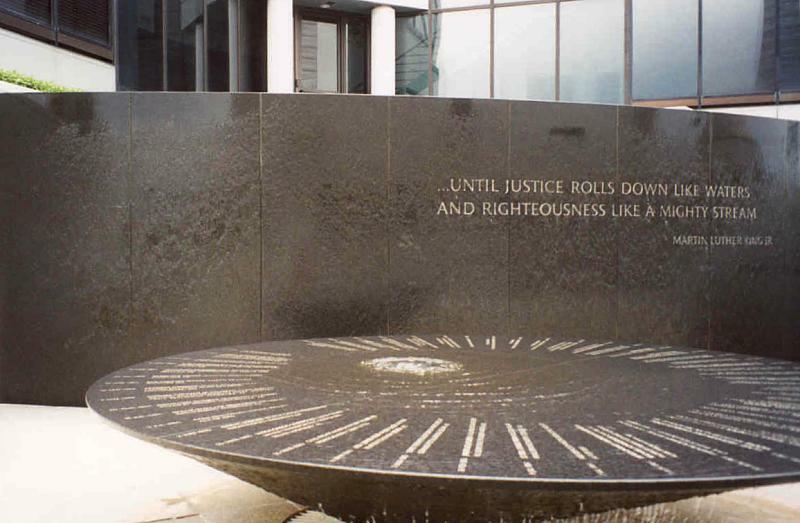 The circular fountain provides a timeline of important events in the civil rights movement, beginning in 1954 with the Supreme Court decision to integrate American schools (Brown vs. the Board of Education) and ending with Dr. King's murder in 1968. 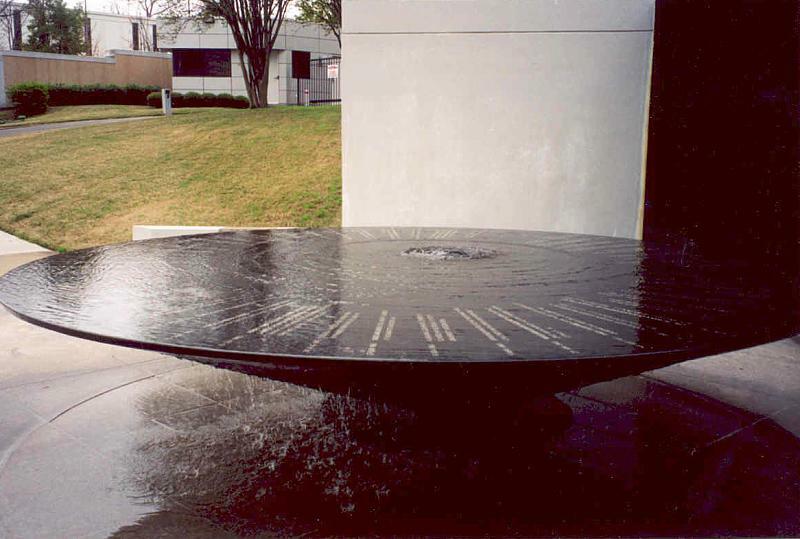 It also records the names of 40 men, women, and children who lost their lives working for social justice. 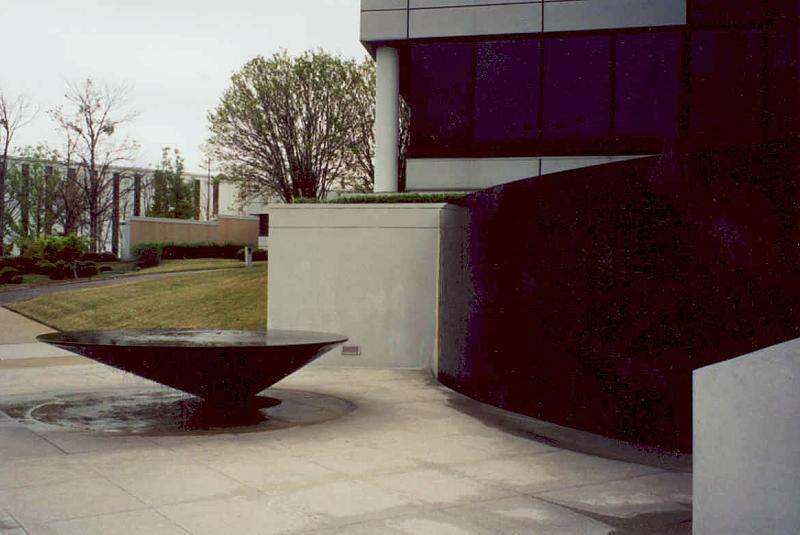 A thin pool of water flows over this circular "table," an effect that Lin hoped was soothing. 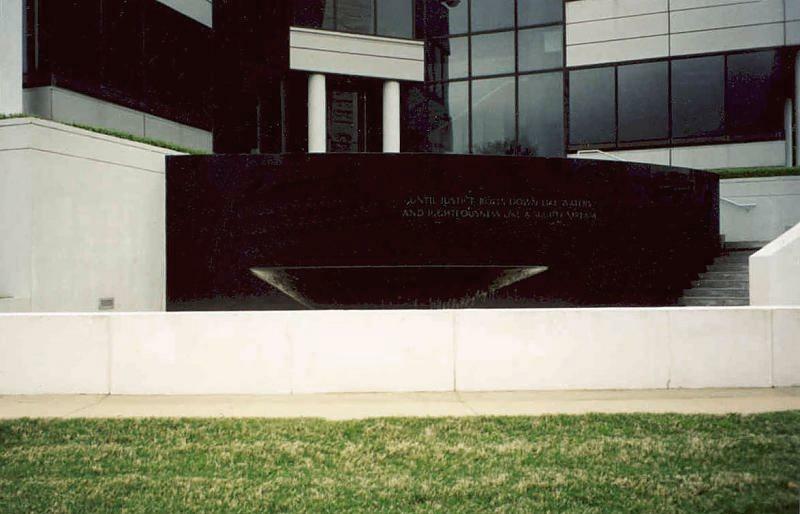 The passage engraved on the wall from Dr. Martin Luther King's "I Have a Dream" speech was part of the inspiration for this memorial and fountain. 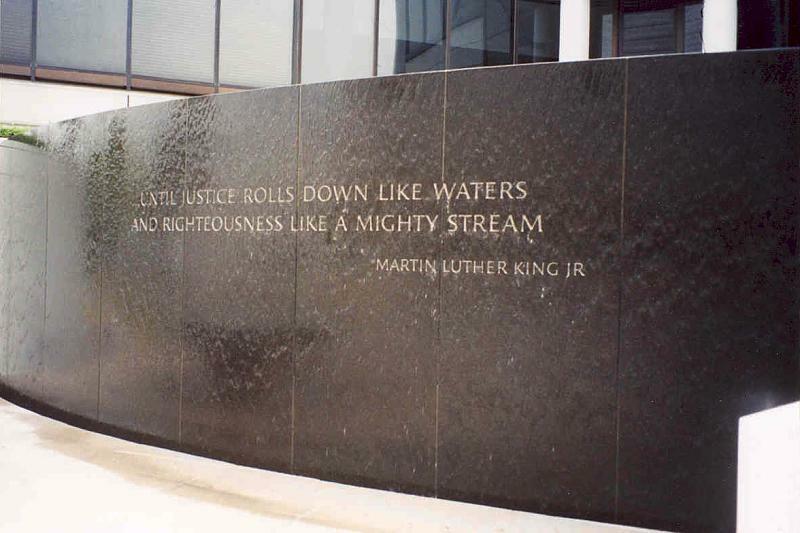 Dr. King said "We [those fighting for social equality] will not be satisfied until justice rolls down like waters and righteousness like a mighty stream."